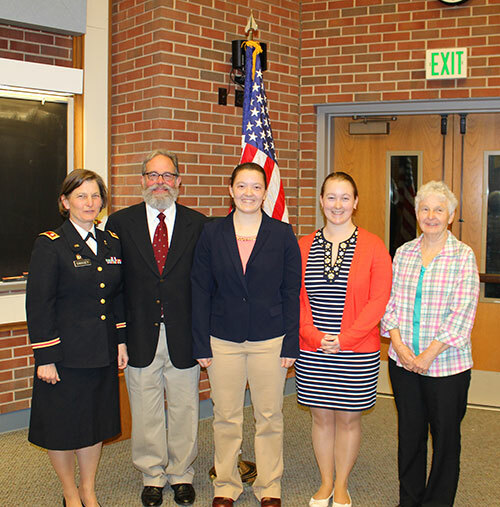 First–year Purdue veterinary student Megan Swasey (center) with her family, including her mom, Lieutenant Colonel Kim Swasey (left), at her commissioning ceremony in Lynn 1136 Friday, May 5. 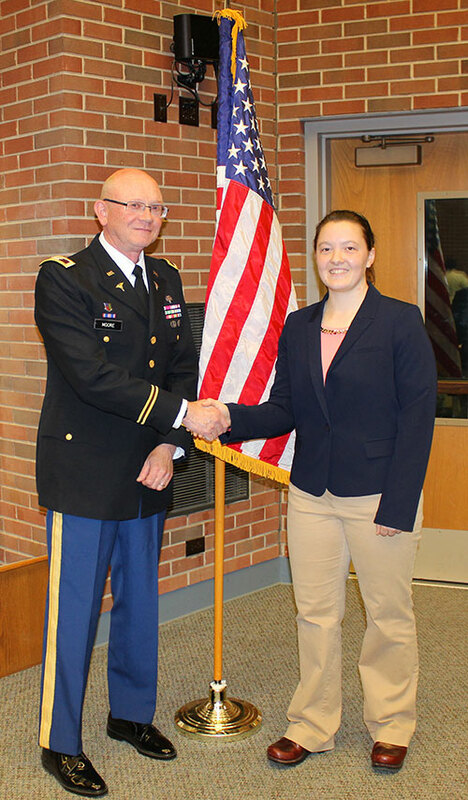 The U.S Army conducted a commissioning ceremony for Megan Swasey, a member of the DVM Class of 2020, on Friday, May 5, in Lynn 1136. Megan was recently notified of her selection for the Army's three-year Health Professions Scholarship Program (HPSP), which will provide tuition and a stipend to cover her expenses for her remaining three years of veterinary college. She was commissioned as a Second Lieutenant in the Army Reserves. U.S. Army Colonel George Moore, Purdue Veterinary Medicine professor of clinical epidemiology and director of clinical trials, administered the oath of office. A reception followed the ceremony. Megan Swasey with U.S Army Colonel George Moore, PVM professor of clinical epidemiology and director of clinical trials, who administered the oath of office at the commissioning ceremony.